A baby is pinned to the wall. It squirms and thrashes. We're drawn in to help, yet repulsed at the same time. 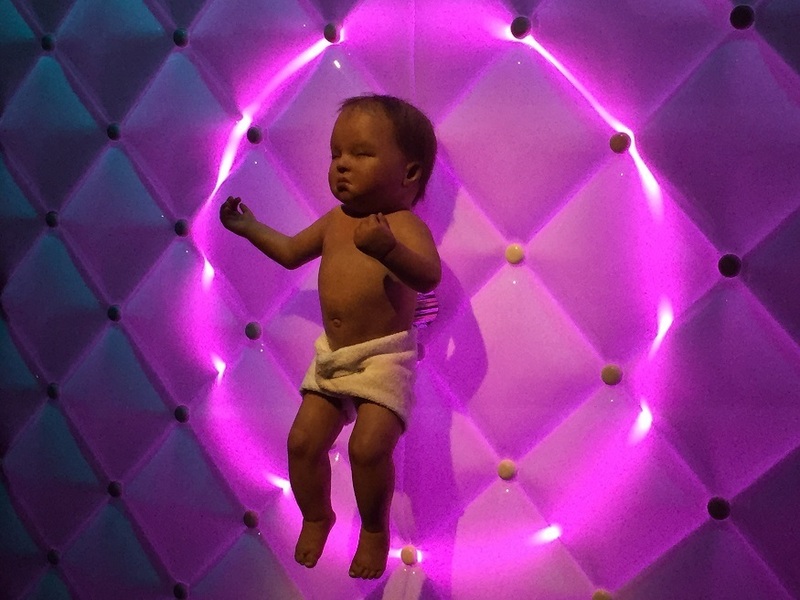 This animatronic infant welcomes us into the Science Museum's silicon menagerie. It creates an uneasiness, which prefigures all that is to come. Our mechanical creations have always stirred mixed feelings. 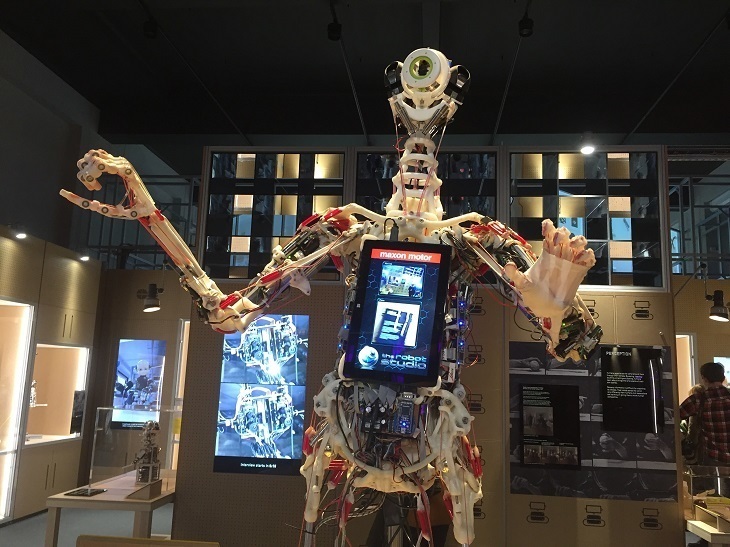 The dozens of robots on show here provoke wonder, laughter, curiosity and concern. Above all, they beguile. First big surprise: some of the earliest robots were created by the Catholic church. A 16th century automaton monk and an animated crucifixion scene give a new meaning to Deus ex machina. Created as devotional objects, they look a whole load of creepy to modern eyes. After a brief introduction to medieval clockwork and early automatons, the exhibition moves straight on to the 20th century. We enter a robotic rotunda of famous fabricated faces. Here's Maria from the film Metropolis; there is the T-800 from the Terminator films. And over yon, Britain's first modern robot. He's called Eric, and was 'born', incidentally, in the same year as Bruce Forsyth (1928). It's a marvellous, mechanical cavalcade. Just one thing: where's Marvin the Paranoid Android? A pair of mid-20th century robots. 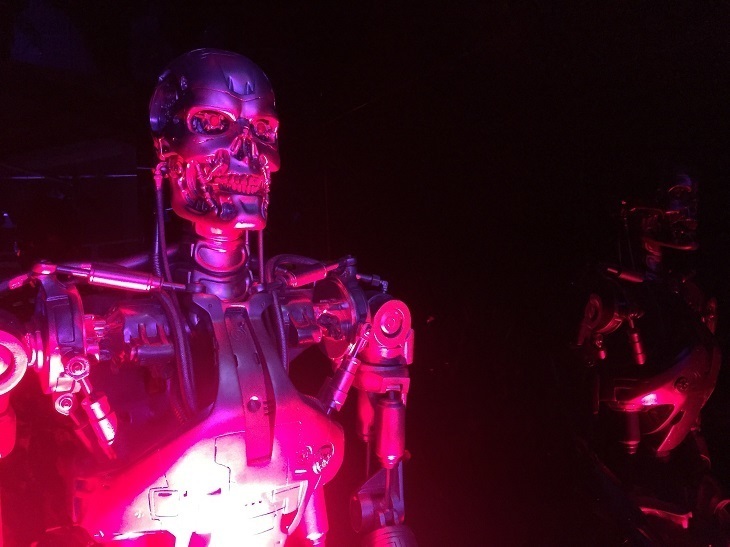 The exhibition ends with a stable-block of 21st century robots. Much sleeker, these metal minions are finding new roles in nursing, care-giving, manufacture, news reading and even trumpet playing. This new blockbuster isn't a particularly detailed exhibition. Information is kept brief and to the point. Instead, the objects do the talking... sometimes literally. It's a sensible decision. The show is sure to attract big crowds, so the last thing it needs is long-winded labels about servomotors or haptic feedback. It is, though, deeply thought-provoking. The format encourages us to step back, think about what we are seeing, and ask big questions. How will these increasingly sophisticated machines serve those of us made from flesh-and-blood? How safe are our jobs? Will the robots of the future nurse or replace that squirming infant? 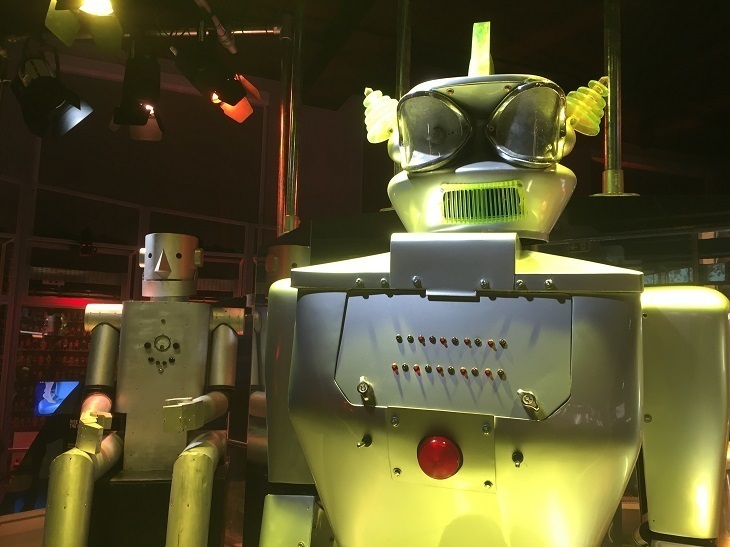 Robots is at the Science Museum, South Kensington from 8 February to 3 September 2017. Note that the Silver Swan is on loan only until 23 March. Tickets £15 (adults)/£13 (children). The museum will be open until 10pm on Fridays to cope with the expected popularity.